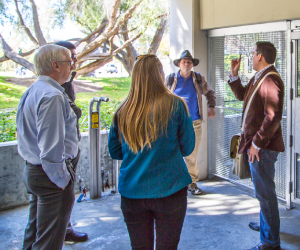 The Bicycle Advisory Group (BAG) is an ad hoc committee and created as a collaborative effort between campus cyclists and other campus stakeholders to support biking at UC Irvine. The BAG is a volunteer group made up of students, faculty, and staff who discuss current biking issues and make recommendations where appropriate. Please contact the bicycle coordinator at biking@uci.edu for more information.